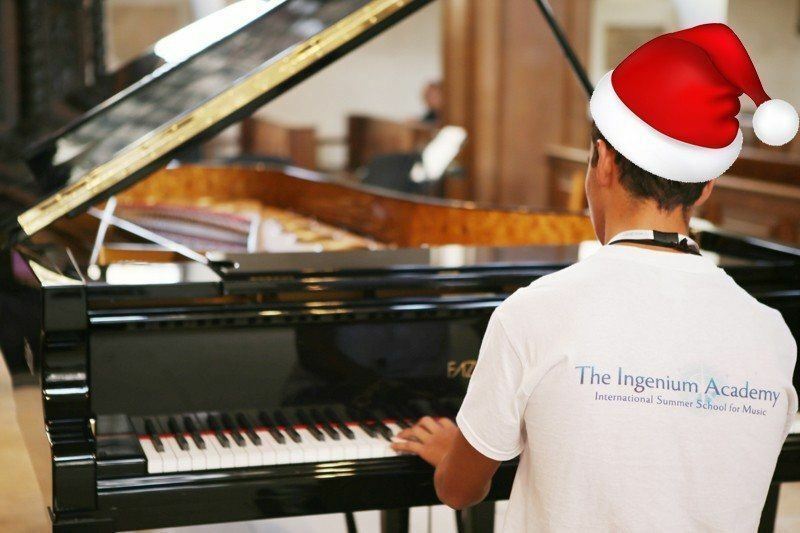 Hark, the Ingenium Christmas playlist is here! Open the mince pies and listen to our 12 musical picks for the season - one for each day of Christmas. Christmas music appears earlier every year, and it's almost always the same. The same carols, pop stars making a comeback and that one about a fairytale in New York... So we've put together a list of fantastic classical music (with one or two not-so-classical) to spruce up the soundtrack to your festive season. Britten composed his Ceremony of Carols around the same time as his hugely successful work Hymn to St Cecilia, while he was traveling by sea from the United States back him to England. The individual carols are a collection of independently conceived pieces, weaved together by a harp accompaniment and the theme of Christmas. ‘There Is No Rose’ is a beautiful carol originating from the 14th Century and was discovered among manuscripts found in Trinity College, Cambridge, and has been at least partially attributed to John Dunstable of Henry VII's Chapel. Britten’s distinctive modal, ambiguous use of tonal harmony and expert writing for voices transform it into a spellbinding work full of wonder and reverence. Here it has returned to its roots and is performed by the Choir of King’s College Cambridge, conducted by Stephen Cleobury. The orchestral suite from Tchaikovsky’s ballet The Nutcracker is so popular at Christmas time that Major American ballet companies generate around 40 percent of their annual ticket revenues from performances of this work alone! No Christmas playlist would be complete without something from this fantastical work, based on German author E.T.A. Hoffman’s magical tale of Christmas toys coming to life at midnight. Recorded by Claudio Abbado with the Chicago Symphony Orchestra. One of his set of Three Carol-Anthems, ‘A Spotless Rose’ is one of Howells’ first significant works for choir, the music for which he would eventually be remembered. Written between 1918 and 1920 when Howells was assisting in editing a large volume of Renaissance church music at Westminster Cathedral, it has been described as one of the first works to exhibit his exquisite part-writing for choir, and sports a fantastic baritone solo. Howells said of it, “I wrote it and dedicated to my mother – it always moves me when I hear it, just as if it were written by someone else”. 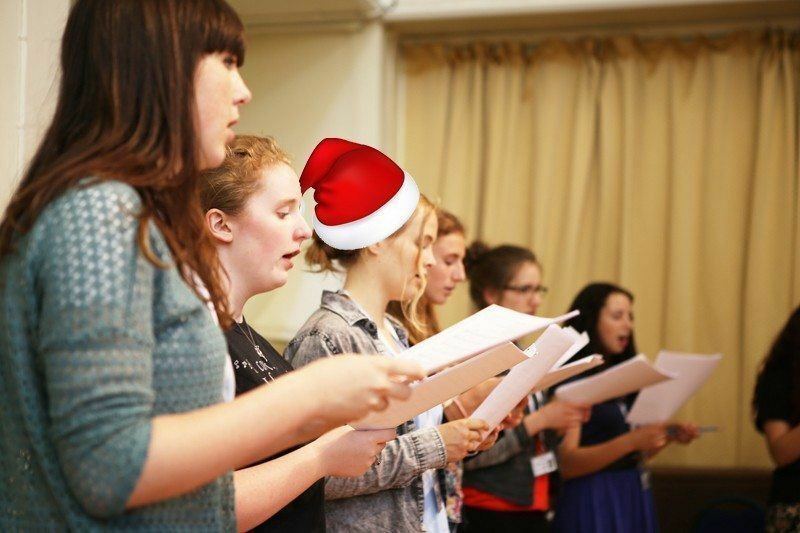 Popular with choirs at Christmas time, here it is sung beautifully by the Gabrieli Consort. 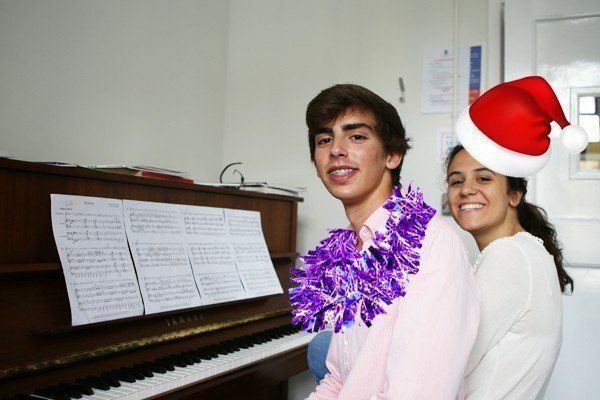 Yes, even the dark lord of dissonance Arnold Schoenberg composed a work dedicated to Christmas! Whilst it is written with an uncharacteristic bi-tonal, almost modal harmony rather than the revolutionary atonal language or romantic zeal usually associated with him, the mastery of counterpoint puts his stamp back on this chamber piece. German listeners keep your ears open for traditional folk tunes “Es ist ein’ Ros’ entsprungen” and “Stille Nacht”. This haunting carol was composed in the eponymous city of Coventry all the way back in the 16th Century, and tells the story of King Herod’s Massacre of the Innocents. This chilling subject is perhaps at odds with the joyful spirit of Christmas, but nonetheless it is part of the story and the homophonic, hymnal writing of the time transports the listener straight into that candle-lit cathedral 500 years ago, reminding us that music is a link to the past. Now for something joyful! The first chorus from the first cantata of Bach’s Christmas Oratorio entreats us to Rejoice, Rejoice! Full of drums and fanfaring trumpets it is as joyful as music can be, and certainly carries the spirit of this festive season. Performed here by legendary Bach expert Nikolaus Harnoncourt with the Arnold Schoenberg Chor and Concentus Musicus Wien. A figure of some dispute in the classical world, Liszt hovered constantly between the roles of composer and virtuoso performer. A legendary pianist who achieved genuine celebrity status during his lifetime in the 19th Century, he was also known for his lavishly orchestrated moody tone poems and fiendishly challenging B minor piano sonata. An unlikely figure for a Christmas composition then, however this suite has a special gentle character and a simple beauty. This movement quotes ‘In Dulci Jubilo’ and is performed by Roland Pöntinen. A refreshing addition to the over-sentimental choral repertoire, this work by Estonian composer is lively and light, and totally unlike the minimalist music that made his name. Challenging rhythms captivate the ear and are interspersed with moments of tenderness. We are back with the choir of Kings College for the recording. A break from the classical, and especially for students of our newly launched Saxophone programme, this is an effortlessly cool arrangement of the old crooner classic. Charlie Parker, or ‘Bird’ as he was known, had a tragic life afflicted by heroine addiction, but played with astonishing style and virtuosity and this performance is no exception. Spot the Jingle Bells reference in his solo! Before we head back into the classical world it would wrong now to pay tribute to two of the most distinctive and musical voices in history - an American Songbook classic at Christmas time, Ella and Louis’ rendition of this song has such a great energy and bounce to it, and who could fail to smile at the sense of fun these two convey just using their voices!? The staple of every classical singer’s Christmas repertoire, performed endlessly up and down the country every year! There is simply no better excuse to pull out this gem of the repertoire - but be sure to look further than the climactic Hallelujah chorus and there some beautiful and incredibly virtuosic solo airs like this one. Recorded by The Sixteen and Harry Christophers. 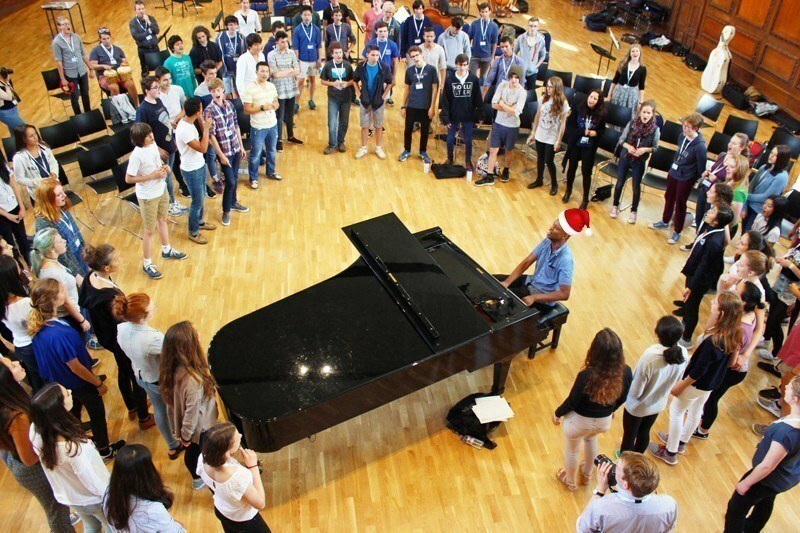 The inevitable finale of every great Christmas concert, this is a whirlwind of festive spirit: jangling sleigh bells, the crack of the whip and even a horse whinny effect on the trumpet! Composed by Leroy Anderson, the lyrics that are sometimes sung were in fact written two years later by Mitchell Parish. Originally recorded by the Boston Pops Orchestra it is a triumph of light classical music, an unabashed celebration of all things Christmassy. Here we have chosen a truly jolly performance from the oldest orchestra in England, Manchester’s Hallé Orchestra. 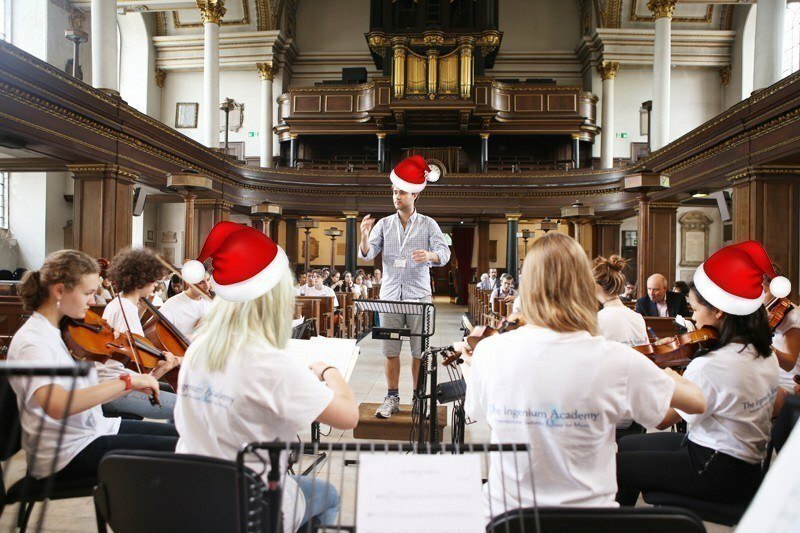 What's your favourite classical Christmas piece? Let us know on Twitter and Facebook. You can find the Ingenium Academy on Spotify using this link. 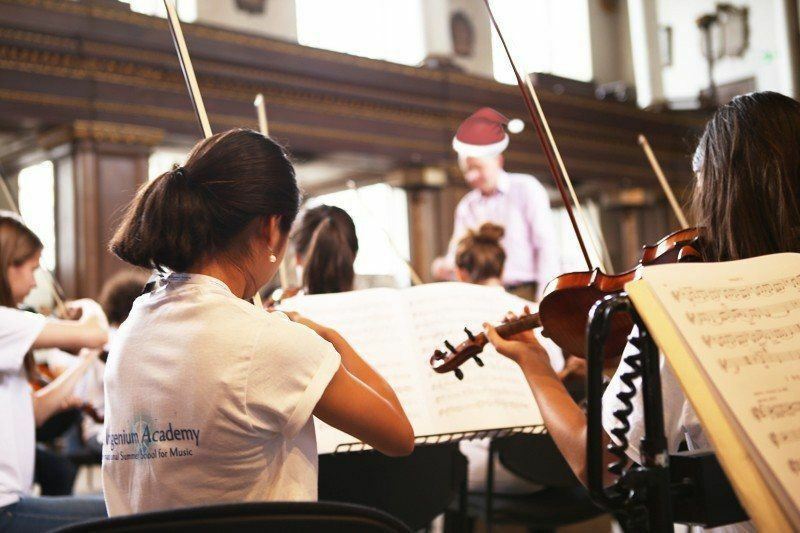 Don't forget to check out our Programmes for more information about the Academy, and remember our Earlybird Discount runs until 31 December 2015.